Giant giraffes gambol in the grass with green geckoes. 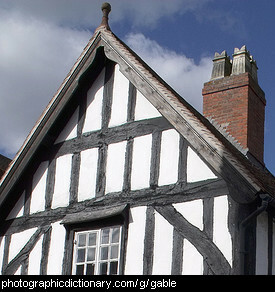 A gable is the vertical end of a roof that is made of two sloped surfaces that join at the top to form a pitched roof. 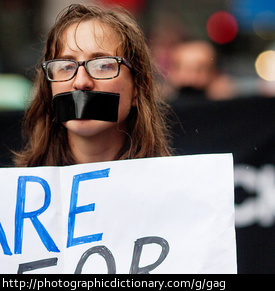 A gag is a strip of cloth or other material such as tape that is fastened around a person's mouth to stop them from talking. 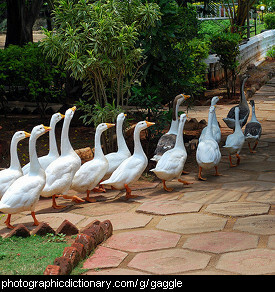 A group of geese is called a gaggle. A gait is a way of moving, usually applied to animals like horses. 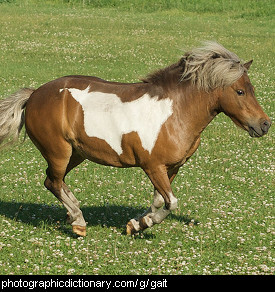 Some examples of different gaits are a walk, run, trot, canter or gallop. Gait is not the same as gate. 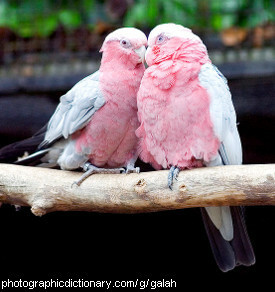 Galahs, also called the rose-breasted cockatoo, are an extremely common parrot found in large flocks all over Australia. 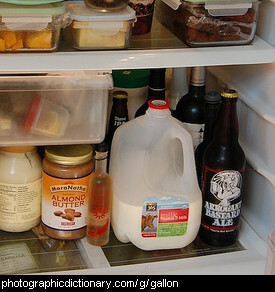 It has risen to pest proportions in some areas. A gale is a very strong wind. 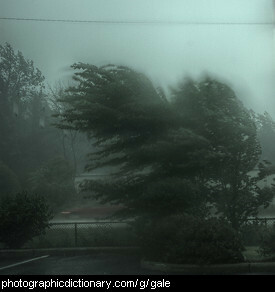 Specifically, a gale is winds between 32 and 63 miles per hour, or 14–28 meters per second. 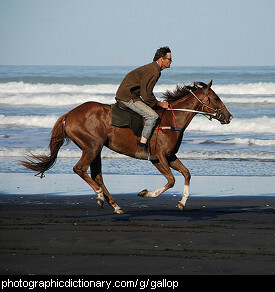 A gallop is the fastest gait of a horse. 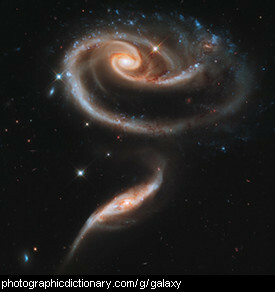 It has a beat of four, and all of the horse's feet are off the ground at once as it is galloping. 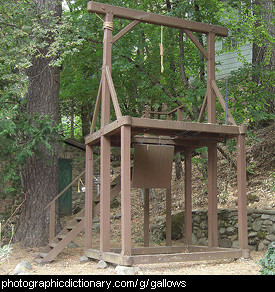 A gallows is a structure designed to cause death by hanging. It was typically used to execute criminals. Depending on how far the person being hanged is allowed to fall, death is caused by either strangulation on a short drop, or by having their neck broken on a long drop.